Distillery effluent, which is commonly termed, as raw spent wash is one of the most Polluting effluent with very high values of BOD, COD, suspended solids & dissolved solids. This dark brown effluent has great potential of biogas generation, which can be used as Fuel and burnt directly in boiler or can be used to generate electricity by burning the same in biogas engines. Sugar mills needs to consume large amounts electricity. They often possess their own boiler houses and electricity-generating plants. With bio-gas plant we can prepare biogas which can be used for the production of electricity through this boiler. Biogas refined with the special equipment is an analogue of natural gas, which can also be used for technological needs of the sugar mill. 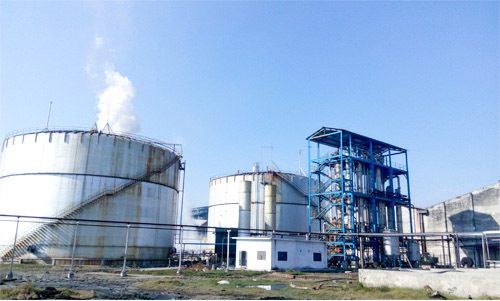 This total package of Bio-gas plant helps sugar mills to attain all environmental norms and generate electricity which in turn helps to reduce cost of production.